Introduction: God did not stay aloft in heaven, look down on our pain, and say, “All the best to all of you. Work life out the best way you can.” No, the Lord sent his Son, who took upon himself our weaknesses, temptations, battles, and pain. Jesus did something about our suffering world and our embattled lives, he entered our world. Jesus became fully human to God’s glory and for our salvation. Thought: God placed in the heart of an ordinary priest, the extraordinary desire to become one with pain-ridden, disheartened, ostracized ordinary people. Premise: Ordinary people living ordinary lives doing ordinary things while living in an ordinary age. Judea is poverty-stricken, backwater country, full of poor peasants barely living above subsistence. Verse One to Three) The child was born during an ordinary time–census time–ordained by an extraordinary God. The purpose of the census was to register everyone for paying taxes–nothing more ordinary than paying taxes. The Lord orchestrates a census to get Joseph and Mary to Bethlehem that prophecy might be fulfilled. Verse Five) The child was born to a woman with an extraordinary heart. Mary’s heart was word-saturated, heart surrendered, purposefully yielded, and trustfully mindful of God’s faithfulness. Mary’s heart was revealed when the angel Gabriel announced God’s intention of a virgin birth, “And Mary said, Behold the handmaid of the Lord; be it unto me according to thy word. And the angel departed from her” (Luke 1:38 KJV). Verse Six to Seven) The child was born in an ordinary cave/barn/one room house under strange conditions, but conceived by an extraordinary Spirit. Virgin Birth- Jesus was conceived in the womb of his mother Mary by a miraculous work of the Holy Spirit without a human father. Matt 1:18-20, 24-25; Luke 1:35. 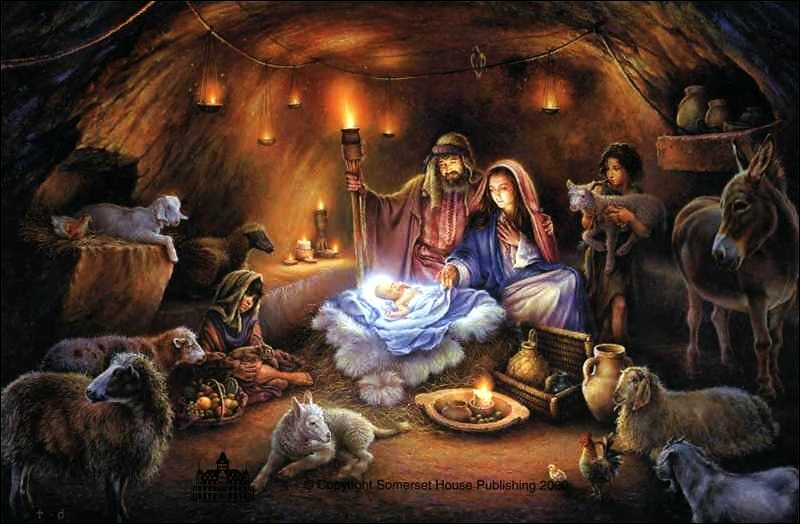 Verse Eight) The child was born and an extraordinary announcement was made to ordinary workers (i.e., shepherds). Note: Shepherds are the unclean, low-income, non-influential, and ignored part of society. We are like the shepherds: no state funeral, no palaces, no political power, and no money. The world does not notice them or us. Verse Ten) Extraordinary announcement for ordinary people: “good news of great joy.” The Savior, Messiah, Lord, is wrapped in strips of cloth lying in a feeding trough. The extraordinary has come in the ordinary to save the everyday man and woman. Verse Eleven) Extraordinary child born in ordinary town with extraordinary titles to save ordinary people. “For unto you is born this day in the city of David a Savior, who is Christ the Lord” (Luke 2:11). “Savior,” means divine deliverance of God’s people. “Christ,” is Greek for promised Messiah, the fulfillment of the Davidic covenant. “Lord,” indicates that the child is divine and omnipotent. Verse Thirteen) The child was born as ordinary workers experienced extraordinary worship. “Heavenly hosts” are not angels in choir robes, but angelic armies. They are spiritual armies with swords drawn, ready, and prepared to return earth back to its rightful owner-God. Verse Sixteen) The child amazed the ordinary workers; they saw that an extraordinary God had sent an extraordinary child for ordinary people. Christmas is necessary because I am a sinner. My selfishness has brought my ruin as well as hurting God and others. The amazing truth is that the offended God sent his Son by his grace and mercy for the purpose of freeing me (Matt 1:21). Sin is selfishness and rebellion caused by our choices and by being a descendant of Adam. Sin turns the world upside down: it says that everyone and everything should revolve around our desires, needs, and wants, yet God in his grace has reached out to us in grace. How do we know that Jesus was extraordinary for the ordinary? Verse Eleven) He is extraordinary by being the Savior: Divine Deliver, Messiah: Anointed one from God, Lord: Allmighty who is Lord over everything. Verse Twelve) He is ordinary by being fully human: a baby wrapped in cloths (Ezek. 16:4) and lying in a animal feeding trough. Definition: The Person of Jesus Christ: Jesus Christ was fully God and fully man in one person and will be so forever. Conclusion: An extraordinary God sent an extraordinary son to ordinary people in order that they might have an extraordinary, grace-filled relationship with him. This entry was posted in Christmas, My Sermons and tagged Christmas, My Sermons on December 25, 2011 by GlennDavis.